Yuichi Kimura and Daichi No Kai, a taiko drum group from Kobe, Japan, will visit Bemidji as part of a TaikoArts Midwest tour which aims to develop, produce and promote taiko performances as a community-building activity throughout the region. 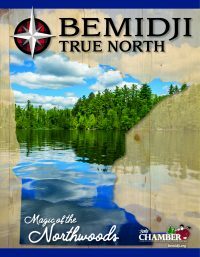 For more information visit: https://calendar.bemidjistate.edu/music/#!view/event/date/20190331/event_id/19178 About the Bemidji Concert Series The Department of Music began the Bemidji Concert Series in 2001 to reinforce Bemidji’s reputation as a cultural center in Northern Minnesota and to provide the Bemidji region with local access to world-class musical performances. The 2018-19 Bemidji Concert Series begins in September and includes four concerts.